It's been a couple days since the reset, and people are beginning to settle into the new map. We've made a feedback form and would appreciate anyone who takes the time to fill it out and help us improve the server. Fill out our feedback form here. 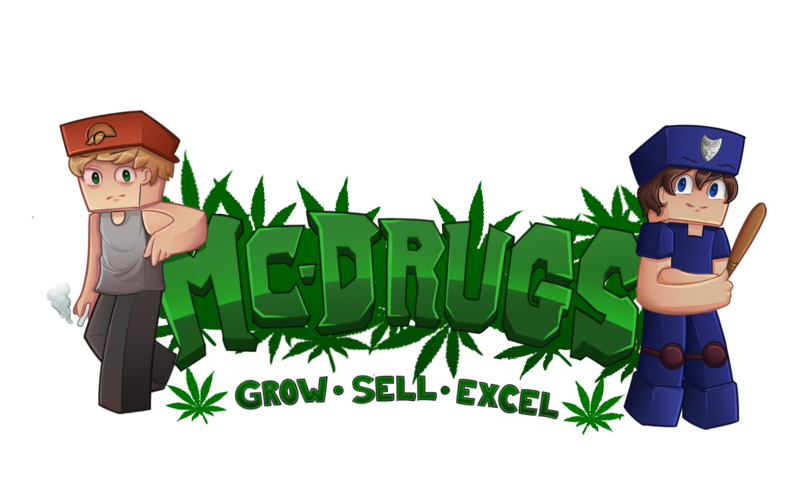 Join play.mc-drugs.com today to test your luck! Click Me to check them out in store! Firstly, we would like to thank every player who came back for the reset. We want to make this reset the best one we have ever had. Our numbers have been up and the players seem to be enjoying themselves. Very soon we will make a feedback form where you can submit new features and critique the server (Only you and the staff can see it). Over the next few weeks we will be adding a lot of new features: Quests, New Jobs, and more. We will release more information in the future. We are aware that the server has been lagging today, this is from all of the chunks being loaded, player files being created, and also a DDOS attack. Over the next few days we will be in contact with our host to make sure we can mitigate attacks quicker. NoodlyApendage has been promoted to Helper. _Kitteh has been promoted to Helper. dogypadle has been promoted to Helper. Uezo has been promoted to Helper.